Help the humans or let them die? This will not be the first time I choose to be an instrument of death. The acrid scent of guns and explosives, the staccato of weapon-fire and the screech of stressed steel as a projectile found its mark. Gun-smoke and steam from the ships’ boiler-engines wreathed the scene like fog from colder climates. I heard Da-Xia’s screams through the murk as she laboured to bring forth her child. I shooed the sharks toward the ships, away from my mother, my sister and their patient. I kept to the outer reefs with the other younger girls, fewer in number than they would be in the future. 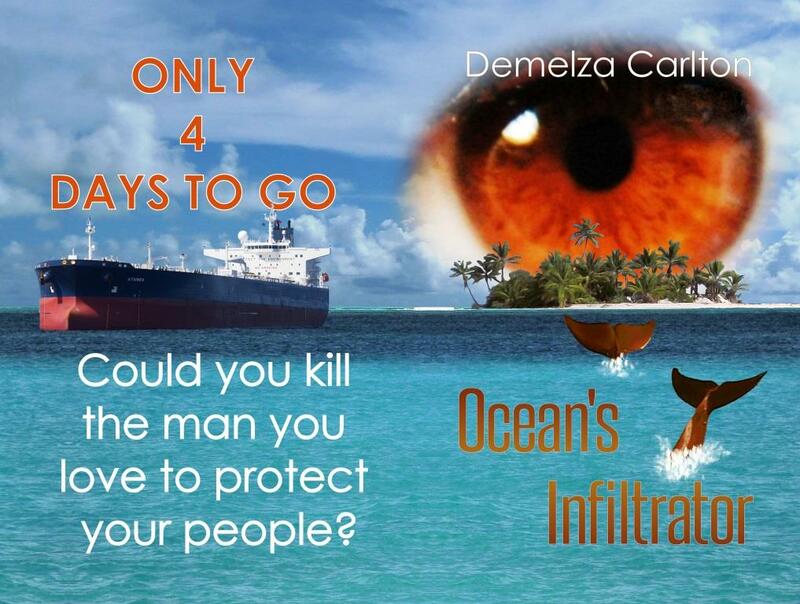 As the ships approached, the other girls fled, tails flicking and fading into deeper, darker water. I did not. My family stayed, so I remained. They did not fear the danger and I was no less brave than they. Someone had to see to the sharks. I watched a human dive from his vessel. I shaped a wave and sent it racing across the surface to him, pushing him back toward his ship to keep him away from my family. He was a German medical officer from the SS Emden, I learned later. “Mother, help me! I am hit!” I heard Healer Duyong scream. I saw Mother turn to help Duyong. Duty and love warred in her expression, but Mother chose duty, as always. She turned away and dragged the human down deep. I watched him die, the boom of guns barely background noise to the sound of my sister screaming then gurgling as she drowned in her own blood, riddled with holes torn by the weapons aboard the humans’ ships. Blood blossomed from Mother’s arm, but her call was as strong as the voice she gave to me. No shark approached her as she swam to my sister and her charge, only to find she was too late. Da-Xia’s death was as quick as the shell that took her head. She never felt the shots that killed the child within her. To my shame, I raised my voice to sing to the ships over the fire-fight on the surface. My anger was so great that I would have killed every human aboard, shattering their skulls with my song, had I known how. All I could do was fill them with a desire to flee at all cost. I felt bitter satisfaction at the captain of the closer ship’s response. He ran his vessel aground on the reef, the keel screeching and shattering as the waves ground it flat. Smoke rose from the deck of the Emden and I remember shaping the waves to skirt the vessel, letting the fire burn without cease. The second ship’s captain found a different focus for his siren-induced recklessness. He’d spotted another ship and moved out of range of Mother to attack more humans instead. His Sydney fired on the Buresk. Those on board the Buresk scuttled their vessel, opening up the seacocks, before they took to the boats. Coal dust spread like a dark cloud of corruption beneath the surface as the Buresk descended to the sea floor. I turned my eyes from the carnage to assist my mother in healing my sister, but we were too late to do anything for Duyong. Once more, Mother dived into the depths, dragging two bleeding bodies with her. The other girls on shark patrol had long since headed home and I was alone. Heartsick, I headed for the beach. Lit by the fires aboard the vessel I’d wrecked, I shifted to human form and let tears flow as I sobbed on the sand. No eight-year-old child should witness the death of her own sister. My anger burned more fiercely than the ship. I wiped my tears away. “Will I get to kill more humans?” I tried to control my voice, but it wavered as I thought of my sister. I’d looked up to Duyong so much and her death tore holes in my heart as if the shells had shredded my body and not hers. The Battle of Cocos was Australia’s first naval battle in World War I – I did a little background video which includes some of the research I undertook before writing this scene.